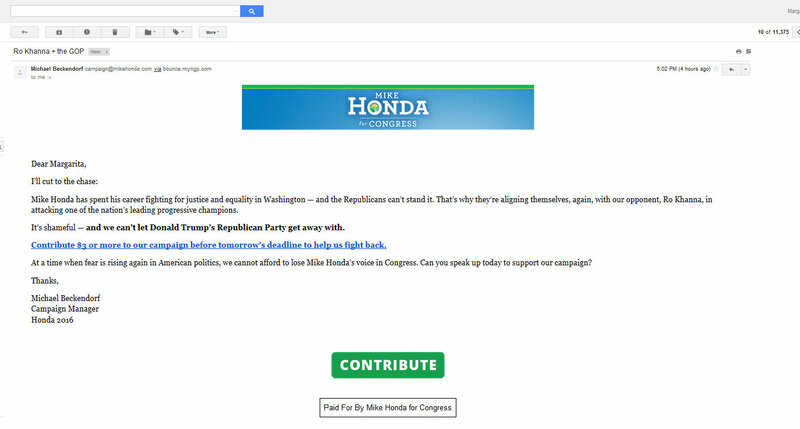 Today Mike Honda’s campaign sent an e-mail to Honda’s supporters (and people like me, who somehow ended up in his mailing list), suggesting that his opponent, Ro Khanna, is supported by Donald Trump. 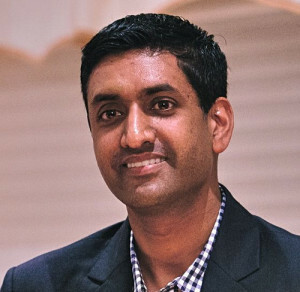 Forget the fact that Khanna is a liberal Democrat, who is deeply committed to human rights and social justice. Forget the fact that the differences in political ideology between Khanna and Mike Honda‘s are so minute that Honda has not been able to articulate them. And forget the fact that to Trump’s supporters likely consider Khanna a brown-skinned, non-Christian “anchor baby” worthy of the same type of disdain than other non-white immigrant. The simple facts are that neither the GOP nor Trump have ever, in any way whatsoever, shown any support of Khanna. Indeed, you have to embrace Trump’s method of politicking to even make such allegations. But the truth is, I don’t know that it is Honda who is channeling Trump on this campaign – because I don’t believe Honda has the mental faculties to understand what’s going on around him well enough to take such positions. Every time I have heard Honda address an issue for which he didn’t have ready talking points, ever time my husband or I have tried to engage him in a conversation about a non-trivial matter, he fumbled through it without giving any hint he understood what the issue was about. I suspect that it is his Congressional staff who decides how he votes, and his campaign staff (which may or may not be the same) who decides how he campaigns while Honda is left to smile, shake hands, make jokes and play everyone’s favorite uncle. 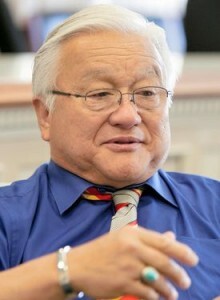 Voters deserve better, but so does Mike Honda. 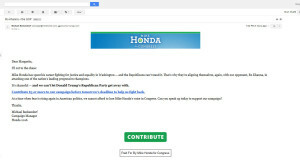 Honda is already the subject of a Congressional ethics investigation on his use of public resources for campaign purposes and for proposing to exchange political favors for campaign contributions; he does not need to finish his political career with the reputation of being a nasty campaigner. I know that like Pete Stark before him, Honda will not give up in his quest for re-election, but his staff should show respect for Honda’s past accomplishments by making sure he runs a dignified campaign. Mike Honda has spent his career fighting for justice and equality in Washington — and the Republicans can’t stand it. That’s why they’re aligning themselves, again, with our opponent, Ro Khanna, in attacking one of the nation’s leading progressive champions. It’s shameful — and we can’t let Donald Trump’s Republican Party get away with. Contribute $3 or more to our campaign before tomorrow’s deadline to help us fight back. At a time when fear is rising again in American politics, we cannot afford to lose Mike Honda’s voice in Congress. Can you speak up today to support our campaign?